hey I just had the strangest experience this morning. While in a dream I had a intense sensation that was very strange that felt like a buzsaw vibrating me. It seemed mostly in the upper body. 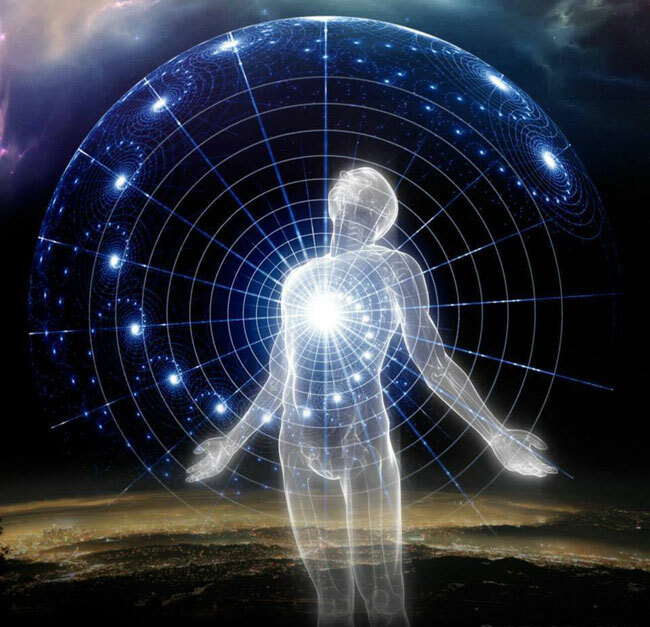 Is this what the vibration feels like for OOB experiences? I was in the middle of a dream I think or a waking dream. I remember lying in the bed on my side and felt the buzz and wondered what it was. I at first in this dream thought it was the bed I was feeling it through and trying to figure out what was causing it. Then I was in the dream and there was someone at the end of the bed. it was a boy 10-13years old and his eyes looked strange. They looked like those circular saws and the noise seems to be coming from him but I could feel it through the bed and my body. By this point my entire body was vibrating. I then starting fighting him shooting some kind of energy while making a noise or something. I think I thought if I gave him a chance the saws would shoot out and hurt me. I could feel my heart pounding like I was really fighting for my life. I them woke up on my side like in the dream. It seemed the buzzing was mostly in the upper body and no longer the bed. My heart was pounding. when I moved it faded. Is this what it feels like. Has it ever happened in a dream? Welcome to the Pulse! Sorry we missed your initial post; it apparently disappeared into the black hole of a busy weekend. Everything you describe is a classic Sleep Paralysis experience with Vibrations thrown in. There are a thousand variations to practically every sensation you describe, so don't get confused by trying to pin down just exactly what you felt; stick with the general categories of reported sensations. SP can and does occur on either side of a dream; or more accurately, your awareness of it. Read, enjoy, and ask any questions later...and again, welcome! Thanks for the response! Isn't Sleep Paralysis were you can't move when you try to? I don't remember not being able to move if I wanted. The closest was my body felt a bit heavy but when I did try to move I could. It just ended up causing the buzzing to stop, at least in the real waking. In the dream I woke up and the buzzing was still happening. When I woke for really and moved the buzz stopped. Also I'm not sure why my other posts are not there any more. I know I posted at least two. One for sure because I copy and pasted the same post I made on the dream bbs which was a interduction. The second I posted about a incident that happened were my body was asleep but my mind was awake in the body and I could see out of my eyes which were closed. I was wondering if the 3rd eye was open or something. Then it may not technically be Sleep Paralysis, but a close variation. The Hypnogogia occurs at times where you are in what’s called a Mind Awake/Body Asleep state and this may be preceding SP or following SP, so your experience may be outside the statistical norm, but nonetheless valid. Sometimes you can physically move during Hypnogogia and transient OBE exit sensations; this will tend to disrupt the experience, so you need to minimize this tendency if you wish to allow the experience to continue and develop. Seeing through your closed eyes at this point is usually considered a form of ‘etheric sight’ and not related to the 3rd eye (astral) that generally comes later (given the idea that this is just one theory of looking at the experience). As to your missing posts, I can’t explain that. Three nights ago I had a spontaneous OBE. When I do have these now, I really pay attention to the various signposts and occurrences I have before, during and after. Before, is when I first become ultra aware. There was just total silence, but I sensed something is either happening or about to happen. Then the "buzz" began. Last night I was trying to find a way to describe it. It's such a unique sensation. Then it came too me, It is a feeling of being "mildly" shocked, akin to a "electrocution". There also seems to be a sound, very faint at first, that sounds like a gentle ringing, like someone with "Tinnitus" would experience. Then the sound gets longer, "Astral Winds" in full blow, and the gentle buzz, seems to become a full body "electrocution". At first this "electrocution" seems to come in waves. Once it became constant, the actual OBE soon followed. Then my "Astral sight" kicked in and I was seeing vividly through my closed eyelids. This OBE experience also created one more test for me. MJ, my better half, started squirming in bed, or so I thought she was and that created a challenge for me to really keep my focus and stay the course. Now, there is a question that could come from that and that is "Was MJ's squirming a signpost as well?. The next day, I pondered that one too. There is no way for me to be able to answer that because she wouldn't have known. She is a very sound sleeper, but she also squirms quite a bit too. I will ask her in the morning sometimes, "if she slept okay?". She always says yes. I am curious, how many of the experienced people here still get actual OBEs, in every sense of the word? I get them still sometimes twice a month, sometimes 3-4 days a week. For some reason, they seem to come in "waves" with me. The important thing to make it a successful OBE, is that you must not disrupt any part of the process. You can't overthink it. You just need to be aware of what's happening and "allow" and passively observe it all. My OBE even had a fear test in the onset. Once the electrocution became constant, there was a few seconds of total quiet, then I heard "screams" coming from 3 different directions. I thought, nice try, better luck next time, lol. The problem is, this is when most people will abort this fascinating experience and the next days tell their friends how last night they were attacked by some Demon or devilish creature . Once you realize what is happening and why, you also realize that you are safe and because of that, you can allow the experience to continue "unabated". This is also a great time to create a intended destination as well. The only intent I put out is that I wish to be "taken" to where I need to go and "shown" what I need to see. I then trust. I feel that if I am having this spontaneous OBE experience period, I should find out why. There's always a purpose!